Back in March, Deborah King, a freelance writer commissioned by the Sunday Telegraph, came along to one of my workshops at Thorndon Park, and the feature she wrote as a result of that has finally been published in today's 'Life' supplement, on page L17 (click for a lager version). 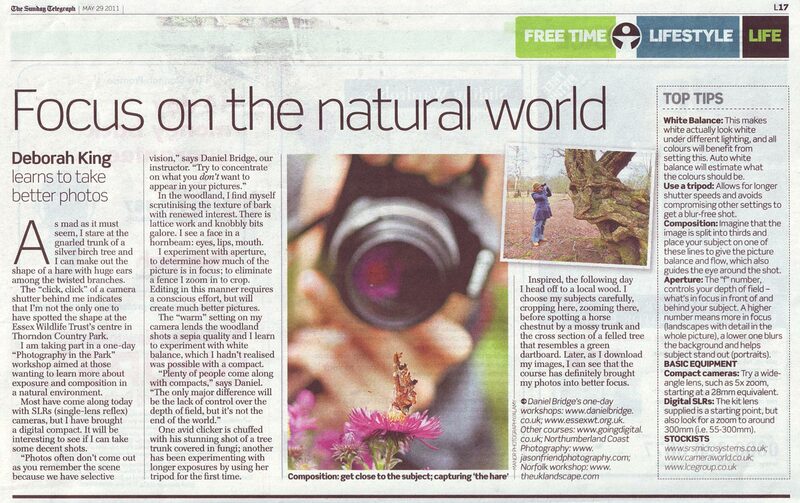 Many thanks to Deborah for the great write up, it's lovely to have such a positive review in a national newspaper. If this has inspired you to join me on a workshop, then have a look at the workshops page and get yourself booked on!